ESA and friends are celebrating the success of the Living Planet program in Bergen Norway this week. It cannot be described as anything but a success actually, with a number of new advanced and innovative Earth observation satellites in orbit performing not only on target, but exceeding expectations. Earth observation from space 'celebrities' could not hide their pride when they presented the results thus far in the program. 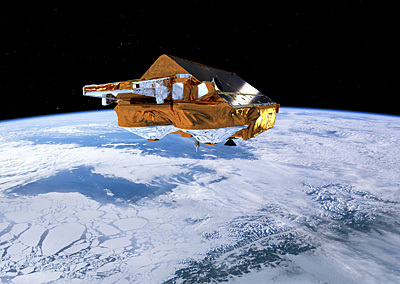 Satellites like GOCE (gravity field), CryoSat-2 (cryospheric observations), SMOS (water, salinity) were all launched the last couple of years and have started to deliver their first data. Data policy was highly visible in several high level talks, where ESA could finally say that the open data access was ratified by the European political system. The US has long been leading in this field, but could also tell stories of improvements that resulted in impressive increased use of Earth observation data. International cooperation seem to be stronger motivated than before as do multipurpose and multisensor applications. Information about NASA's and ESA's Earth observation program is rich online. However, other country's activities in the field are far more obscure. I learned a lot about Brazil, Japan, China, Korea etc today when they gave (too) brief overviews of their programs. I wish they published more online. I'm in Bergen playing with the space inclined Earthlings.